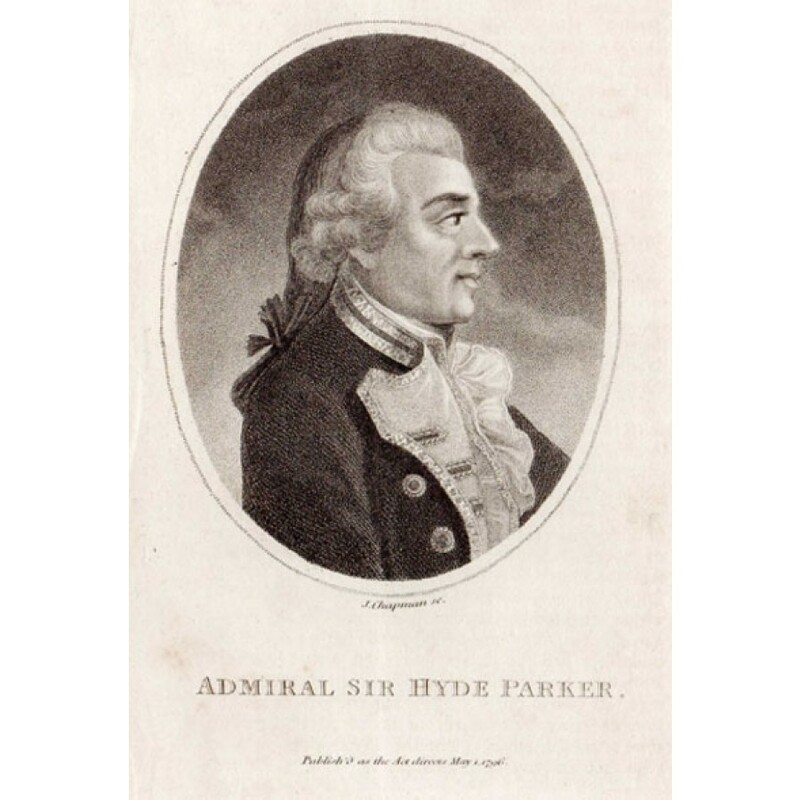 Admiral Sir Hyde Parker (1714-1782) fought in the American War of Independence and was knighted for his part in the Hudson River campaign. 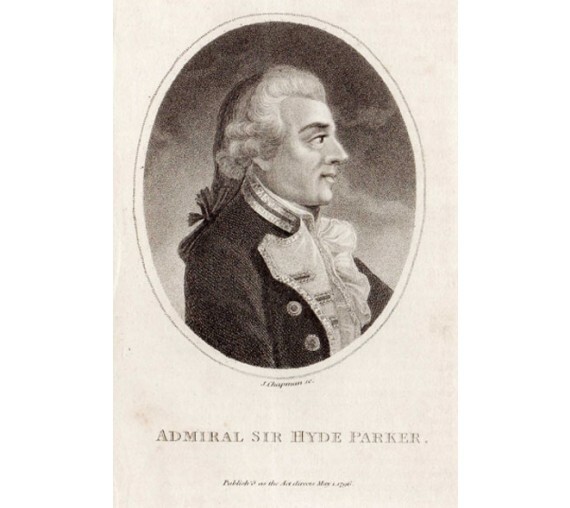 From 1796 to 1800 he was in command at Jamaica and ably conducted the operations in the West Indies. In 1801, he commanded the British fleet during the bombardment of Copenhagen. His second-in-command was Horatio Nelson, who led the attack. 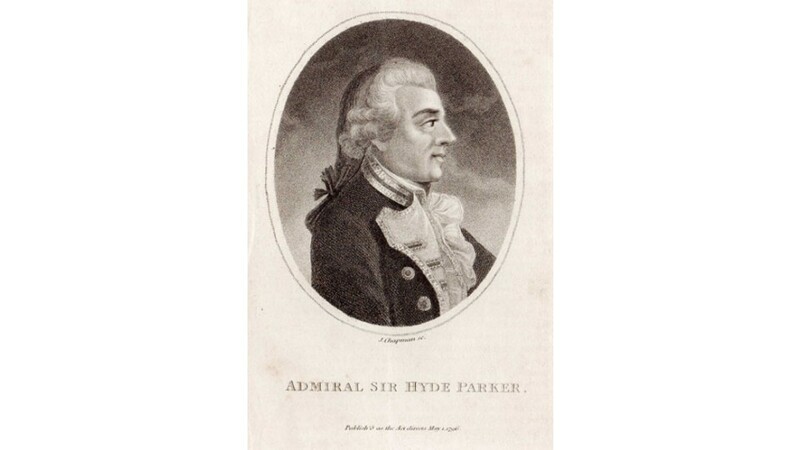 At the height of the battle, Hyde Parker II hoisted the flag to discontinue the action. Famously, Nelson ignored the order from his commander by raising his telescope to his blind eye and exclaiming 'I really do not see the signal'. He pressed on with the action and ultimately compelled the Danish forces to capitulate. Chapman was an English stipple engraver of portraits after his contemporaries.